Now even police officers are having their General Motors-built patrol cars recalled. 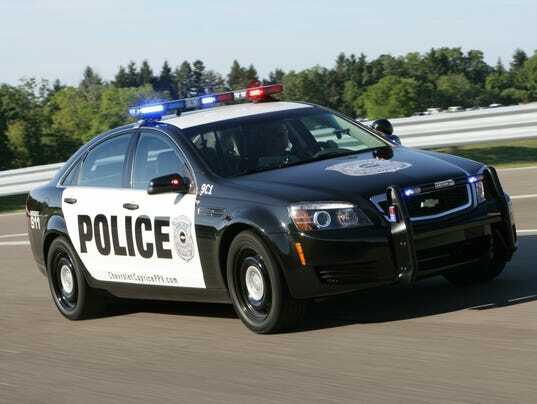 GM says it is recalling 7,598 Chevrolet Caprice police patrol vehicles, which were imported to the USA from its Holden unit in Australia, to fix a problem with the shifting mechanism that has accounted for one accident. In the 2011 to 2013 police cars, a driver may be able to shift the transmission out of “park” without first pressing the brake pedal, according to GM. They also might be able to move the shift lever between gears without pressing the shift lever lock button. Or they may have trouble shifting between gears. The “PRNDL” display on the instrument cluster may show the wrong gear. Caprice is a big, rear-wheel drive car that competes against Dodge Charger and a version of the Ford Taurus in the police market. GM says there were no injuries in the single reported accident.